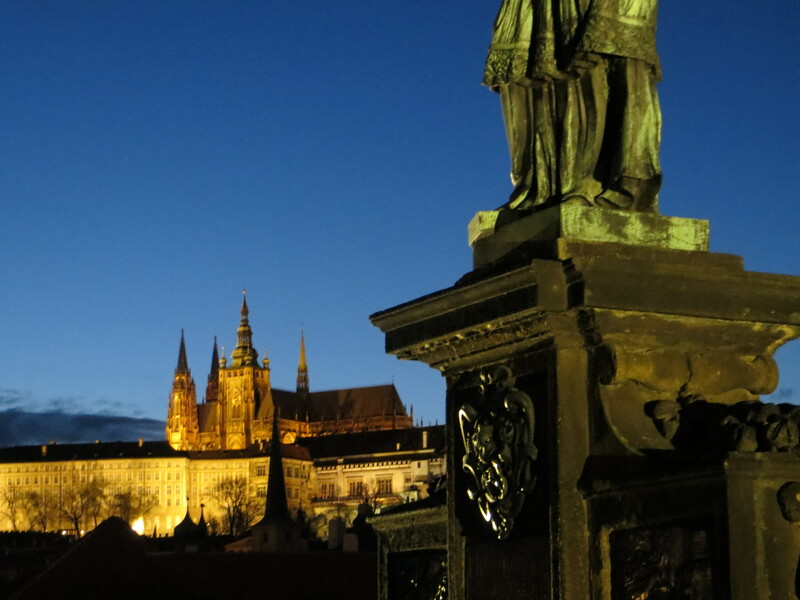 When I wrote my “I want to go to there…” post on Prague, we didn’t have any plans to go there. 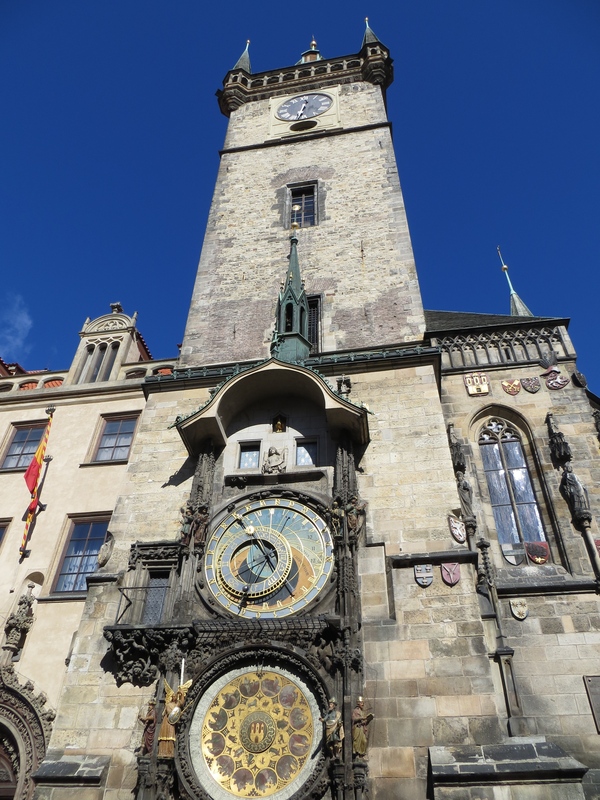 In fact, we didn’t have plans to go to Prague until about 48 hours before we got there. My husband loves to travel like this, but it isn’t usually my style (Remember: I’m a planner). 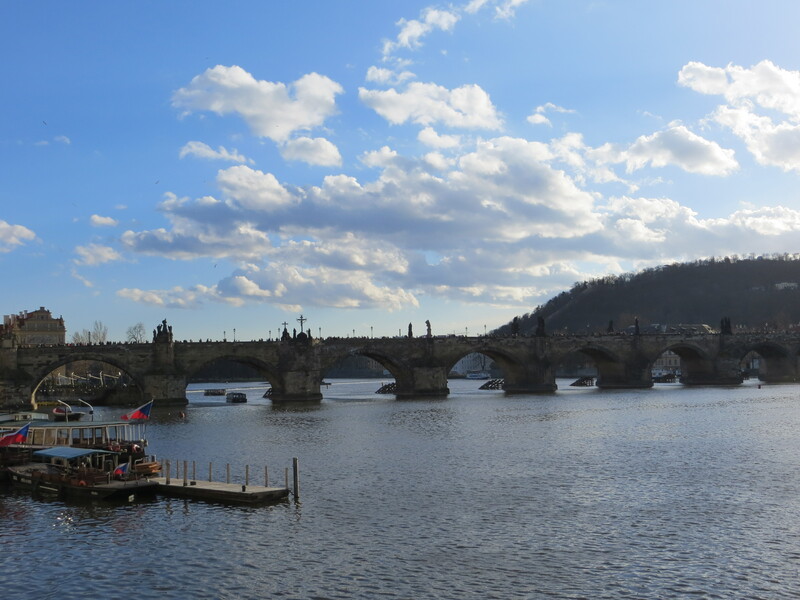 When I imagined myself in Prague, I either envisioned it being in the snow and fur boots—Dr. Zhivago style–or in the summertime. 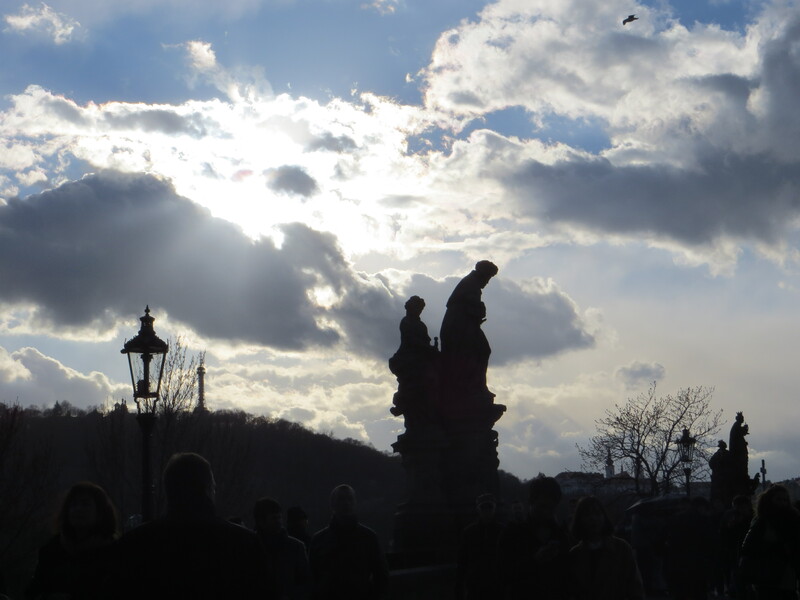 But Prague in the spring is fresh and blustery. Prague was windy, sunny, blue, grey, quick to rain and quick to stop. I have never seen clouds move so rapidly across the sky. I can’t exactly put my finger on it, but there was something about seeing the city–which has had such a storied past–in this weather that was fitting. 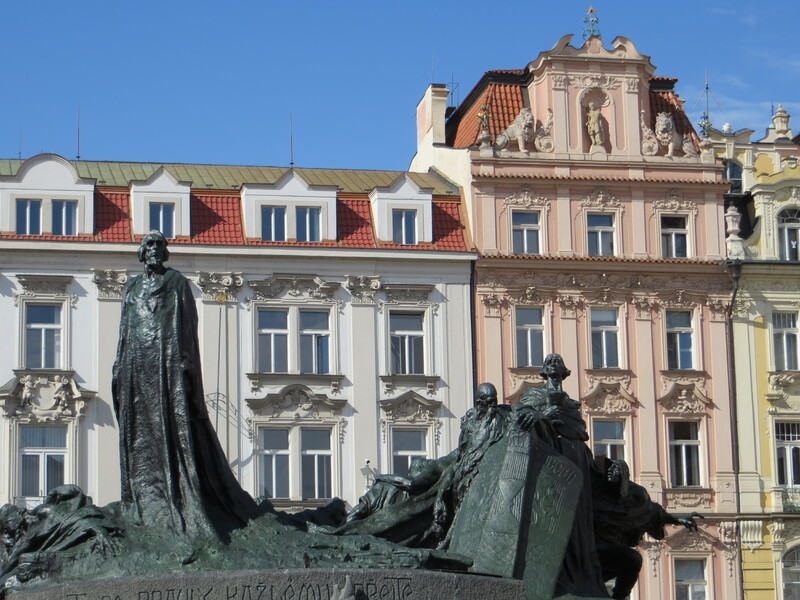 If you’ve studied Prague or read anything by Kafka, you know that this city has been through dark and oppressive eras. In the flesh, it was luminous. A true testament to the Czech spirit. The clock tower in Old Town. 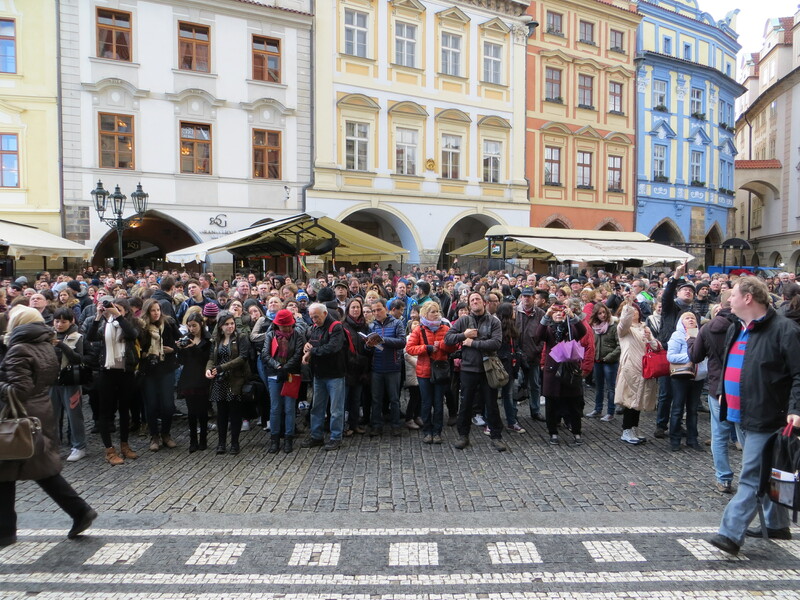 …and all the people trying to take a photo of the clock tower. 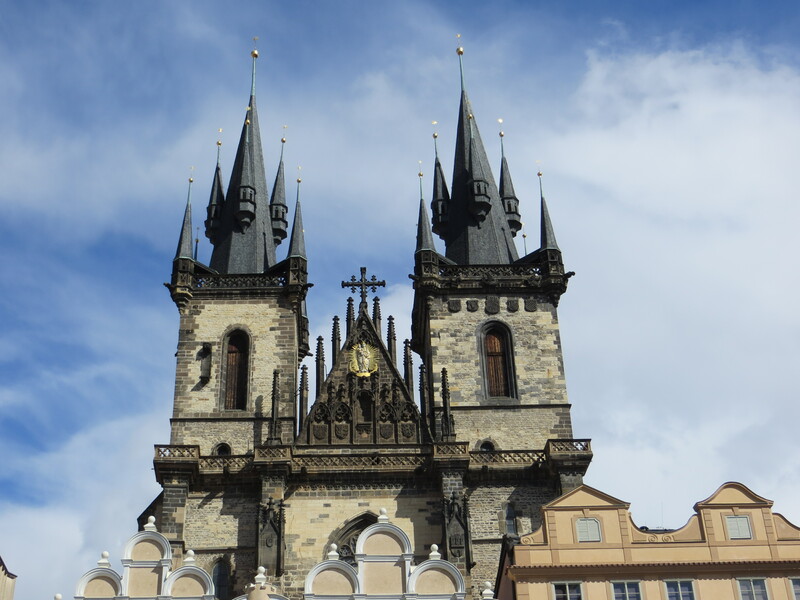 We spent hours on our first day wandering around the Old Town. I’m not sure if half of Europe was on spring break or I’ve gotten used to quiet Geneva, but Prague was bustling! I had to get my eyes off the gorgeous rooflines and out from behind the lens, so I wouldn’t run into anyone. 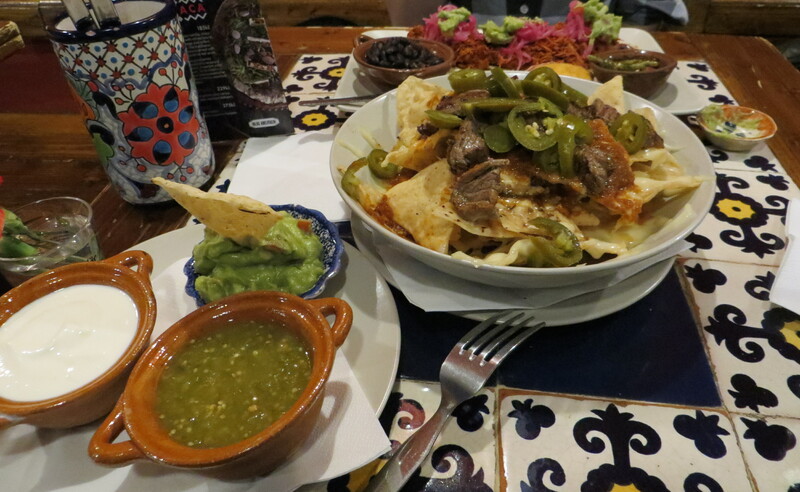 When I looked up restaurants in Prague, I was surprised to find a Mexican spot at the top of the list. A couple of reviews from expat Texans and Arizonans were enough to convince me that this was worth a lunch. But who goes out for tacos in the Czech Republic? This girl. 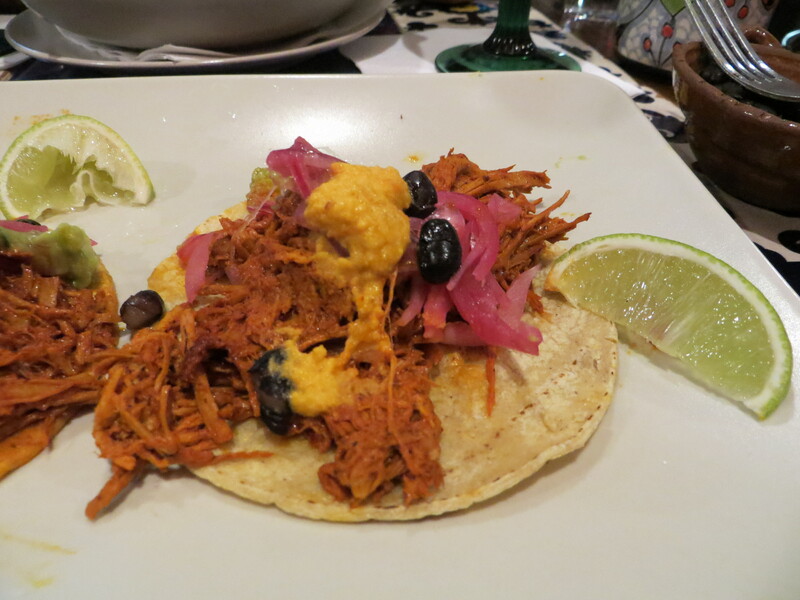 Las Adelitas specializes in Oaxacan-Mexican cuisine and I would recommend it to a Oaxacan. 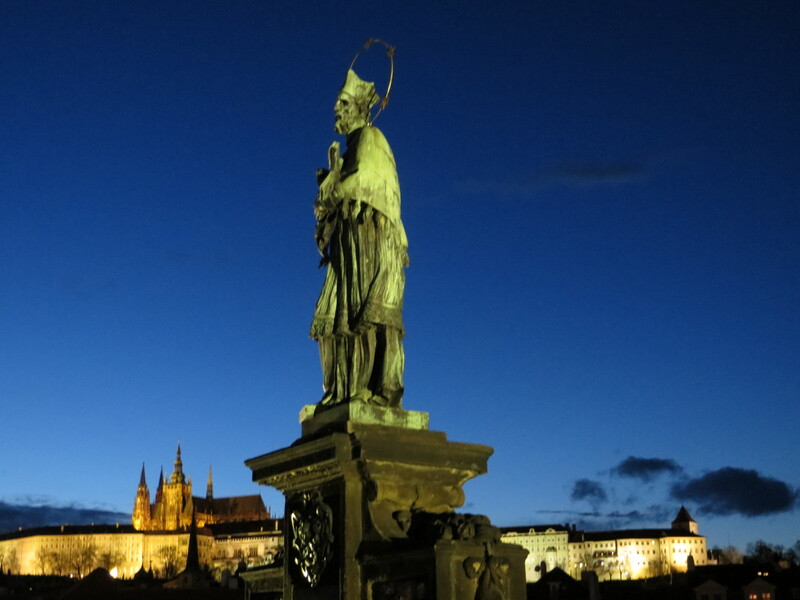 After a long lunch (complete with a margarita I will have dreams about), we crossed the Charles bridge in search of a sunset with the Prague Castle in the distance. The smartest thing I did in preparation for Prague was to tweet Czech beer enthusiast Evan Rail for pub recommendations. I “met” Evan over social media last fall after complimenting an article he wrote for the New York Times. We discovered that we are both European expats from California’s Central Valley (he is from Fresno, but now lives in Prague). 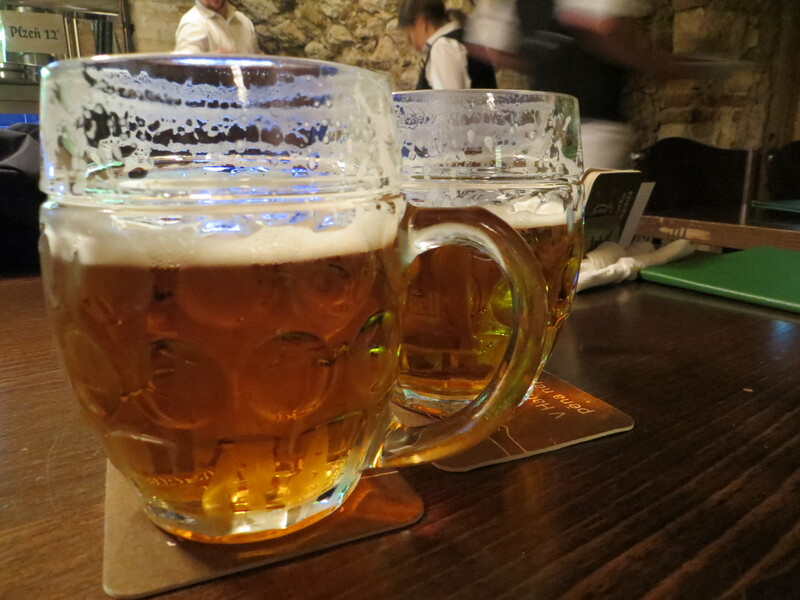 The best beer we tried was Evan’s recommendation–Prague’s original pilsner, Pilsner Urquell–freshly brewed at Lokál. Pilsner Urquell is advertised all over town, but they taste differently from pub to pub. Lokál’s was the creamiest, with just a hint of warm clove and vanilla. I don’t usually wax poetic over a beer, so trust me. Also, the beer’s head (foam) is big in Prague! Not frowned upon, but enjoyed. Prague’s original Pilsner Urquell at Lokal. I’m eager to share more with you next week. For now, měj se (take care) and enjoy the Easter and Passover holidays!